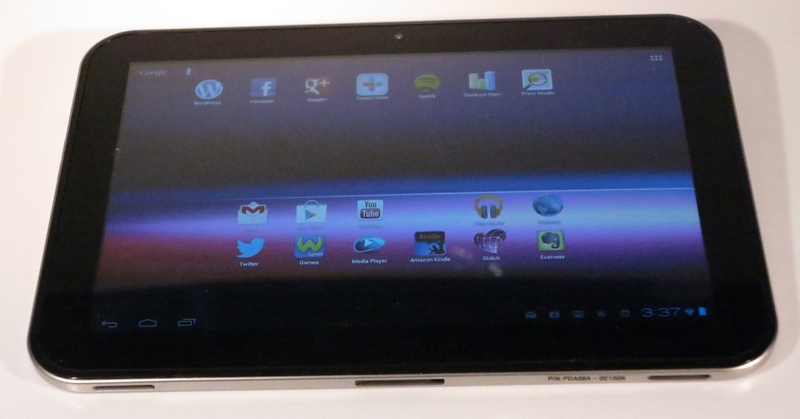 I am reviewing the Acer Iconia Tab A500 Series 10” Android tablet computer. It, like most other Android-based 10” tablets, is faced off as a competitor to the Apple iPad tablet which is of the same size. The Acer Iconia has a metal-feel about it which makes you think of a durable tablet computer. It is light in your hands but some people may find the smooth finish very slippery when they handle it. The Iconia’s display is as readable as most tablet computers go especially when you are using it for reading content. When you use the Android-provided touchscreen keyboard, you may not find the text entry procedure comfortable for long periods of content creation. As far as the display’s brightness is concerned, the Iconia Tab A500 is still bright enough for most users even if it runs on the energy-saving “dim mode”. Like most tablet computers, the Acer Iconia’s sound doesn’t have much in the way of volume output if you use the integrated speakers. Here, they would be good enough for audio prompts and the like.It was still clear for the basic local listening and you have the distinct stereo separation but I would recommend use of headphones or external speakers like Bluetooth A2DB audio setups. 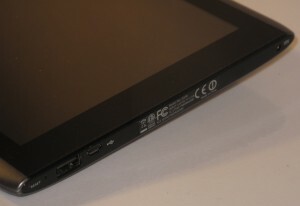 All the units of the Iconia A500 Series have 2 regular USB device ports as well as a micro USB port for connection to a host computer. They all support Bluetooth connectivity for standard profiles as covered by Android. This includes the ability to do Bluetooth object-push file transfer as well as audio streaming with Bluetooth headsets and audio setups. You can connect these devices to an HDTV using an miniHDMI-to-HDMI cable if you need the large TV screen. Another USB port on this device - at the bottom of the unit, under the screen. These Acer tablets have a feature that is common with most Android smartphones and tablets in that they have a microSDHC card slot. This means that you can expand on the storage that you initially bought or swap media collections around on different microSD cards as if you were working with cassettes or MiniDiscs. The power connection is a 12 volt connection, which may make it easier to use the Iconia Tab in a car through the use of a cigar-lighter cord. This comes in handy when you load devices like the Iconia with movies or ebooks to be viewed by passengers on a long journey. The Acer Iconia is very spritely when it comes to performance. For example, it was able to play sound from a DLNA network media server while I did some Web browsing without the sound deteriorating. It could also perform properly with YouTube even if you put the videos on full screen. The battery can run for a few days of adhoc but regular mixed-activity use without charging. I haven’t yet worked out an activity plan to “stress-test” these devices for battery runtime. The Acer Iconia Tab A500 Series is equipped with two cameras, one of them being a front-facing one for videoconferencing. This would work well if Skype provided full videophone functionality across entire line of Android HoneyComb tablets. One point of improvement that could come in handy would be to deliver Skype as part of the standard software mix for all of the models. As well, the Acre iconia, like most tablets could benefit from a detachable kickstand that comes as part fo the package. This could appeal to users who use a USB keyboard for typing up notes or those of us who push these units in to service as an Internet terminal / digital picture frame for the kitchen. 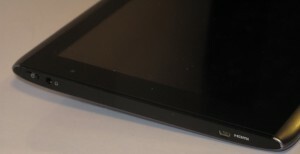 I would consider this Android tablet as a “floater” tablet computer as a multifunction general-purpose tablet computer where you value the large screen size and snappy performance. This is more so if you want a tablet computer that isn’t confined to Apple’s dream and you know what you are after for software. The Wi-Fi-only units can be useful if you want to manage just one mobile broadband package by using your smartphone’s Wi-Fi tethering options to connect to broadband service on the go. You may go for the wireless-broadband-equipped units if you don’t mind running a separate wireless-broadband account and allowance for these devices. Nice stuff i love android so much, it’s go green and open source off course.